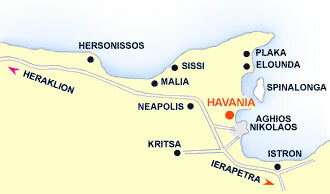 68 km away from the airport of Heraklion and 2.5 km from Aghios Nikolaos following the road to Elounda. 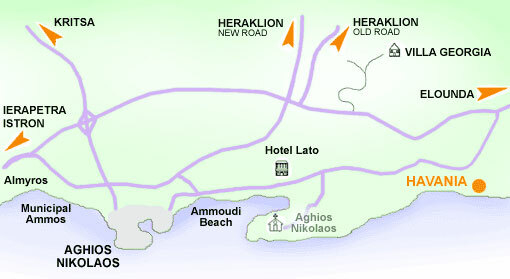 Just before entering Aghios Nikolaos you turn to the left at the traffic lights. Follow the road until you come at a cross point, here you turn right. This road leads back to Aghios Nikolaos.